When a wealthy Count invites a young woman from a hungry community to a lavish feast, she decides to turn the invitation into an opportunity. A comment about the biases. It's a typical portrayal of sensationalism. Since there were no scene shot within the realm of Mainland China, lots of ideologies presented no matter during the main narration or through all the sceneries are from little to utterly biased. And even worse, the title of the TV, which is misused and clearly a misnomer,conveyed the ideology and stereotype which is intentionally shaming the government of China and can raise unnecessary debate and discussion of the inhumanity of the certain policies. 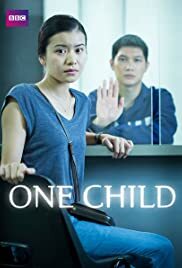 People who watched this or are expecting to watch it should do some research about the notorious "one-child" and ask around the real meaning if you can access a real native Chinese who's not oppinionated. Shades everywhere, all I can say now. 4 of 50 people found this review helpful. Was this review helpful to you?